Iranian activist Esmail Bakhshi was arrested in November for organizing weeks-long protests at a sugar factory. Now Bakhshi’s claims have shined a light into the greater issue of prisoner mistreatment and torture, which rights group say is widespread, and have prompted parliament to launch an investigation. Iranian media reported that a parliament committee has been authorized to investigate Bakhshi’s claims after lawmakers requested a probe. Ali Motahari, an outspoken member of parliament, wrote a column in the reformist Etemad daily on January 6 in which he said Bakhshi’s claims were a “source of shame” and demanded answers from the Intelligence Ministry (“The letter …. should be a wake-up call for all those with a conscience and defenders of citizens’ rights who must follow up this matter until it reaches a clear conclusion.” ). Since the publication of the labor activist’s letter, Bakhshi’s lawyer has indicated that her client has come under intense pressure to retract his statements about being tortured. On January 6, 2019, Judiciary Spokesman Gholam-Hossein Mohseni Ejei claimed the authorities would investigate if Bakhshi lodged a formal complaint. “After mentioning torture Esmail Bakhshi has come under intense pressure aimed at forcing my client to deny what happened,” Zilabi said on January 7. The suggestion that the Intelligence Ministry could be sued has brought reactions from former political prisoners and prisoners of conscience who have suffered torture at the hands of the state. They noted that it is practically impossible to bring torturers to justice and in most cases it was the victims who received punishments for publicizing the torture. Attorney Ali Mojtahedzade suggested that to assure the public that torturers could be sued and brought to justice, the judiciary should first conclude the prosecution of those responsible for previous atrocities, such as the deaths of Iranian-Canadian photojournalist Zahra Kazemi and blogger Sattar Beheshti during detention. For some of my earlier posts on Iran: https://humanrightsdefenders.blog/tag/iran/. Radio Free Europe on 1 August 2018 carried the good news that the prominent Kazakh Rights Defender will new granted parole after 6 years In prison. A lawyer for Vadim Kuramshin, Muratbek Irge, told RFE/RL that a court in the northeastern city of Oskemen agreed on August 1 to parole Kuramshin. 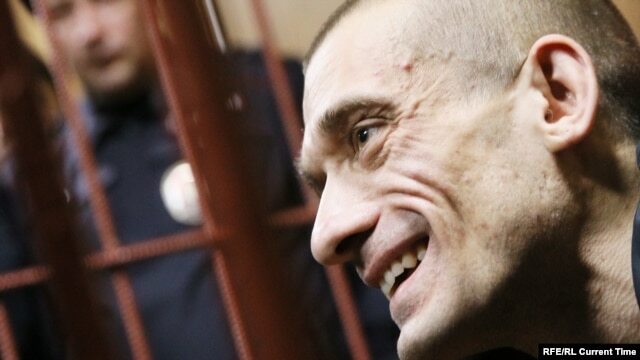 He will be released in 15 days if the ruling is not appealed and overturned, Irge said. Kuramshin has become known for his efforts to raise awareness of violations of inmates’ rights in Kazakh penitentiaries, including the one where he served his term. He was sentenced to 12 years in prison in 2012 on an extortion conviction. He denies wrongdoing. His supporters say were politically motivated.